Trentemøller… sounds a lot like the Cure! G&A are big Trentemøller fans. He produces a broad range of electronica (house to electro to techno to trip-hop) but his last LP (the excellent “Lost”) has more live instruments on it (especially bass and guitars) and has a much darker, band-oriented, sound. So much so that parts of it sound like he’s recreating outtakes from the Cure’s “Faith” LP – especailly the (video below) . It is very, very good. Then I came across this article where Trentemøller is talking about his influences, and there they are! Most people probably don’t know that Trentemøller isn’t just an epithet plucked out of nowhere. It’s actually the surname of the revered Danish electronic producer whose first name is Anders. Isn’t Trentemøller the kind of name that rulers and Gods dream of? Isn’t it the kind of name that’d instil deference as well as fear? Famed for making music comprised of swirling synths made for party hearts, in his seven year career, he’s released three critically acclaimed album, with the latest release Lost released just this week. Of this record, don’t expect much of the same of 2010’s Into the Great Wide Yonder. Lost is a 12 song progressive step from it, featuring vocals from the likes of Kazu Makino of Blond Redhead and Rose Wagner of the Raveonettes. But what’s inspired Trentemøller to hang up his fit for purpose disposition towards one party state politics and go for music, all these years? Take a look at his Under The Influence choices for a clue. 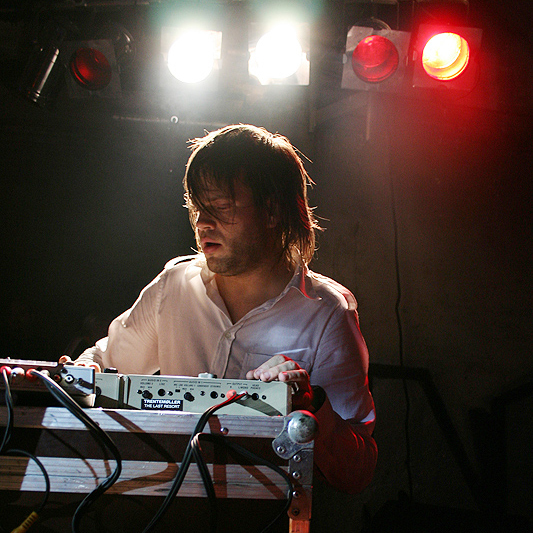 via Under the Influence: Trentemøller | The 405 News.